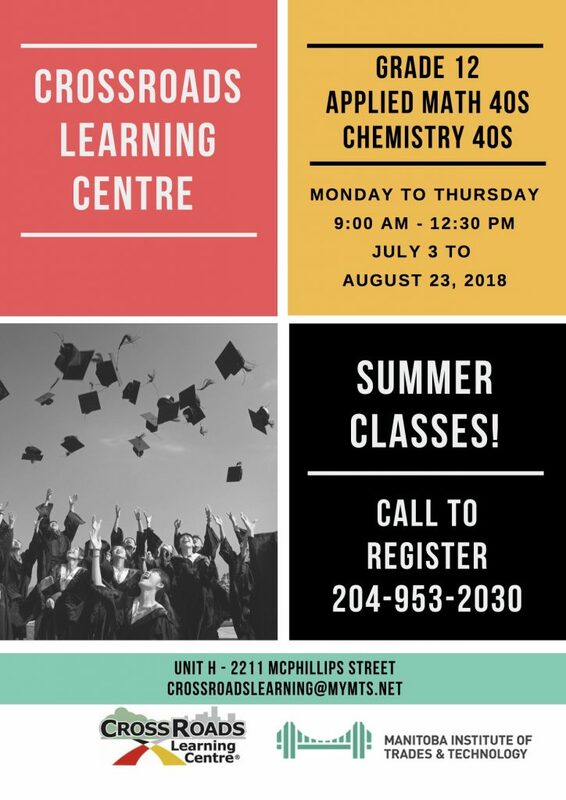 CrossRoads Learning Centre is happy to announce that we will be offering Applied Math 40S and Chemistry 40S this summer! Classes will be held Monday-Thursday from 9:00 a.m. – 12:30 p.m. from July 3 to August 23, 2018. For more information, please visit our website. Feel free to post and share the attached POSTER with your students!